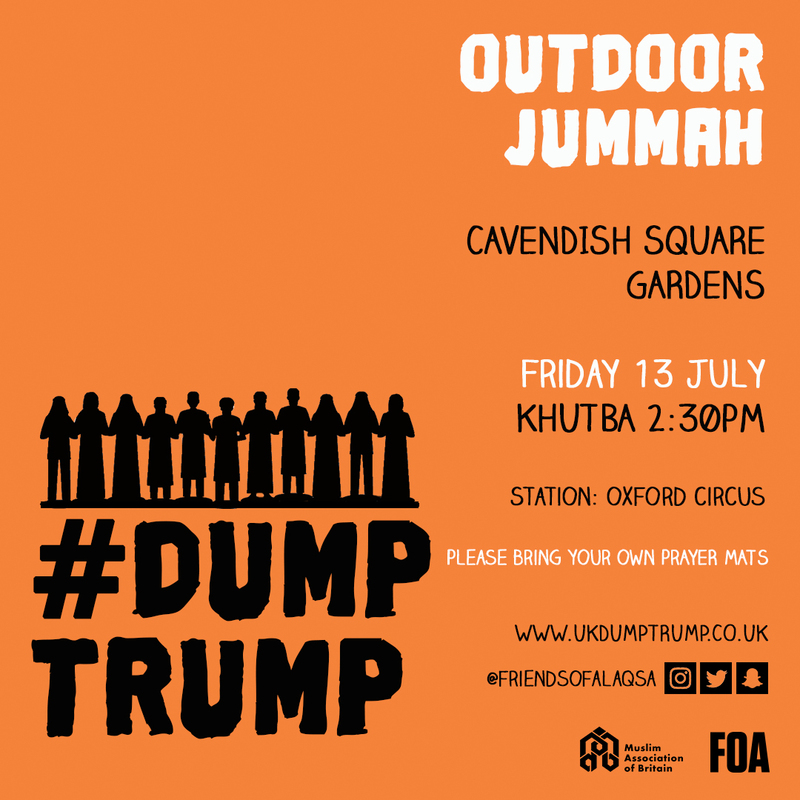 The Muslim Association of Britain is pleased to announce that its, President Dr. Anas Altikriti, will be leading the Friday prayers on the 13th of July in Cavendish Gardens prior to the national protest against the UK visit of President Donald Trump. 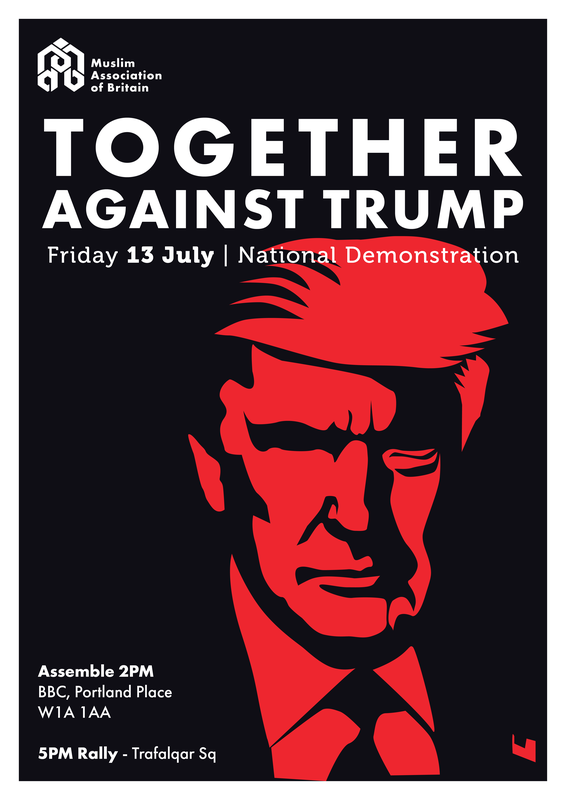 The Friday sermon will address Trump’s impact on social relations and communities throughout the US and Europe, and the effect of populism in driving up racism, Islamophobia and xenophobia. Also, Dr. Altikriti will touch on the anniversary of the Srebrenica genocide which, although took place a generation ago, ties in with the re-emergence of far-right nationalism, sectarianism and fascism. Friday prayers will commence at 2.30pm in Cavendish Gardens near Oxford Circus, after which the protest will assemble at the BBC nearby at 3pm.